During the 19th century, German painter and printmaker Max Liebermann, who was born in Berlin on July 20, 1847, was one of the influential artists in the art circle of Germany. While he was distinguished for his Realist style, depicting the lower classes going about their everyday lives, he was also considered as an influential contributor in the development of Impressionism in Germany. 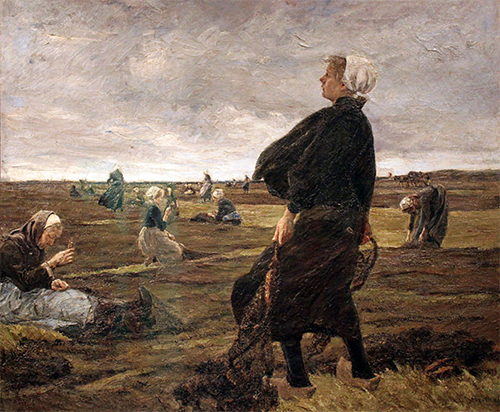 Barbizon painter Jean-François Millet and Adolph Menzel, a German realist, were the known influencers of Liebermann’s earlier works. 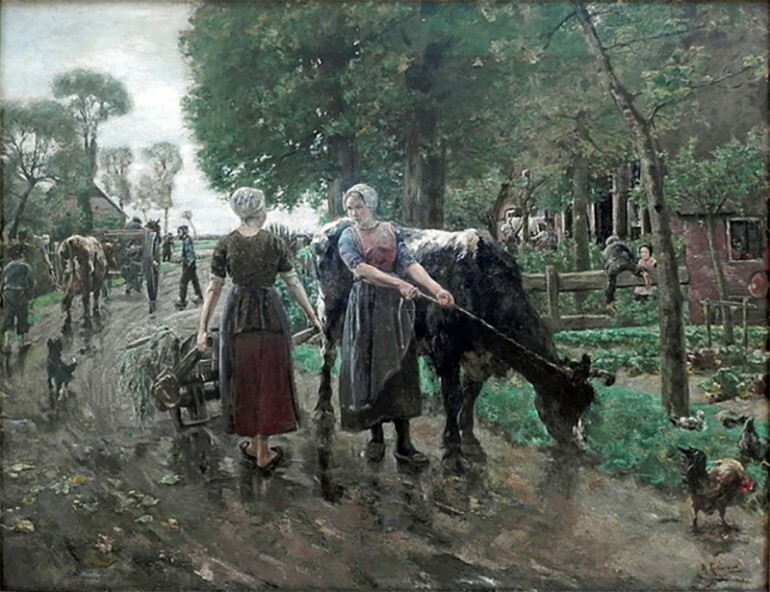 Liebermann also visited the Netherlands several times for his artistic advancement. When he finally planned to settle, he went back to Berlin. During this period (late 1870s), he was influenced by the realist style of Adolph Menzel. But while Menzel showed the industrial side of Germany, Liebermann focused on depicting scenes of rural life and painted urban laborers, the elderly and the poor. The realism of his paintings earned much criticisms from people who wanted to see idealized or denigrated images and his paintings, such as “The Cobbler’s Daughter” were labeled subversive. Despite his non-conformity to the accepted norm, Liebermann was given a teaching post at the Berlin Academy in 1884. Liebermann and his works were associated with the end-of-century aesthetics as an example of the Sezession group that was labeled as a radical art group that gave support to new art styles as Art Nouveau and Impressionism. He was elected as the president of the Berlin Academy in 1920 but political pressure in 1933 caused him to resign from his post. Liebermann became greatly influenced by Impressionism especially the works of Edgar Degas and Édouard Manet around 1890. He focused on color and light like a true Impressionist but became less concerned with his choice of subject matter. Most of his subjects still relied on genre painting and he became one of the strongest proponents of German Impressionism together with Max Slevogt and Lovis Corinth. But he was not swayed by optics like the French Impressionists and showed preference to showing defined narrative in his work. He also became a portrait art specialist during this time, with many of his patrons members of high society. He showed a style that was influenced by Manet, Wilhelm Leibl and Franz von Lenbach.